Propane is a popular alternative fuel. People use it not only to operate gas grills, but also to heat pools, run fireplaces and even power outdoor lighting. Move and store propane tanks in an upright position. Keep the tank outside - never store it in the house or basement or near open flame. Be on the lookout for leaks. If you smell gas, don't use the tank. Have it serviced immediately. 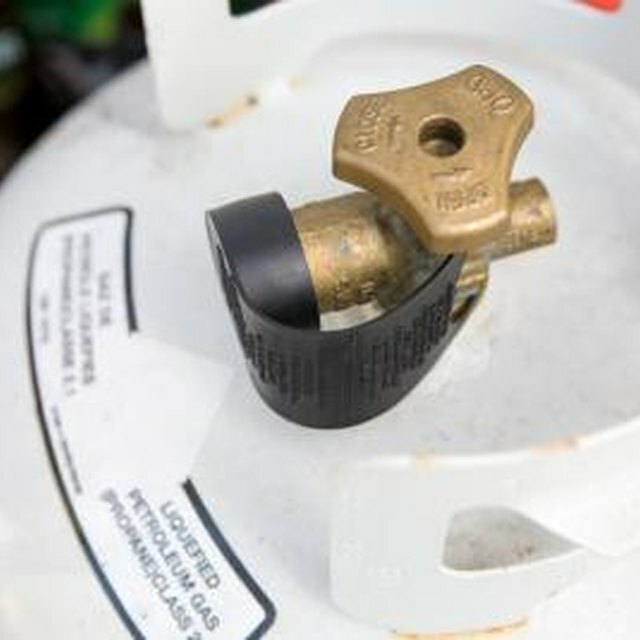 Read all instructions and warnings provided by the manufacturer of the propane appliance before use. Avoid letting the tank run out completely. You want to maintain some pressure in the tank at all times. Turn off control valves on the appliance and the shut-off valve on the tank when you're done using the gas. Take the tank in for repair or replacement if you notice dents, rust or bubbles (blown-out areas) on the surface. Always light the flame before turning on the gas. Is It Normal to Smell Propane When You're Right Next to a Furnace?